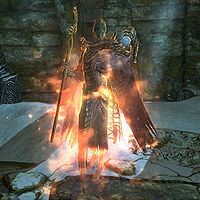 Dragon Priests were once the loyal servants of the ancient dragons of Skyrim. They ruled over countless armies of men in their gods' names. They are now found residing in coffins throughout areas of prominent dragon worship. If their sleep is disturbed, the dragon priest will burst out of its coffin with considerable force and prepare to destroy whomsoever intruded upon their resting place. In combat, dragon priests are incredibly dangerous and can kill even high-level players quite quickly. They will constantly backpedal at a high speed, making it difficult to land any melee strikes. While moving they will attack with various staves and destructive spells, making for an effective opponent both offensively and defensively. 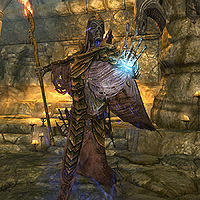 Dragon priests are at the high end of the leveled list of possible draugr-type spawns (see effects of leveling for a description of how creatures are generated according to the player-character's level). Because of this, other radiant named bosses, such as Curalmil and Red Eagle, may also appear as dragon priests if at a high enough level. These enemies will not carry an enchanted mask, however. When one is close enough to a dragon priest sarcophagus, it will burst open forcefully. All random dragon priests' sarcophagi are horizontal, so that the lid bursts vertically. 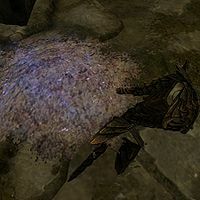 When a dragon priest is killed, it falls to the ground and almost immediately turns into a pile of ash. The clothing remains intact and is still searchable for loot. 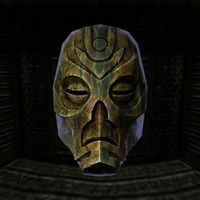 The mask Konahrik, which can only be acquired after recovering the other 9 Dragon Priest masks (8 named masks plus the Wooden Mask) from the base game, has the ability to summon a spectral Dragon Priest that will fight for you for 60 seconds. 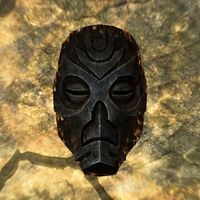 There are eight named dragon priest bosses in the province of Skyrim, each of which wear an eponymous mask with a powerful effect. 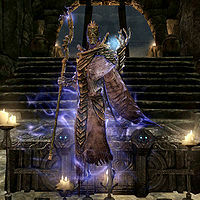 Each of the eight is challenging in their own way and has access to powerful spells, staves, and certain dragon shouts. Some, but not all, of these dragon priests are associated with particular quests. 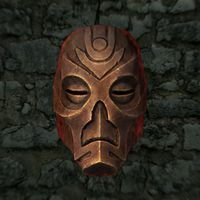 The Dragonborn expansion adds five new named dragon priests, four of which carry unique enchanted masks (the exception being Vahlok the Jailor). Hevnoraak is encountered in Valthume as the final boss in the Evil in Waiting quest. Hevnoraak is sealed away by Valdar, who uses all his power to keep the ancient evil at bay. For more information on the creature, see this article. For more information on the item of the same name, see this article. Krosis is located at the clifftop dragon lair aptly named Shearpoint. The battle can be very challenging after completing Dragon Rising, as you will have to fight both Krosis and a leveled dragon. He is located just in front of the word wall that reveals every word of the Throw Voice dragon shout. Morokei is encountered in the ancient ruins of Labyrinthian, which can only be accessed during the related quest. Morokei is a formidable opponent as he bears the Staff of Magnus. Nahkriin is encountered guarding Alduin's portal to Sovngarde on the top of Skuldafn during the quest The World-Eater's Eyrie. He wields the staff needed for opening the portal. 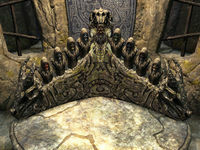 Otar the Mad is encountered in the Nordic ruin of Ragnvald, which is just north of Markarth, during the related quest. He is found guarding a word wall which reveals one word of the Kyne's Peace dragon shout. 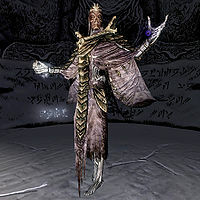 To access his sarcophagus, you must defeat his two keepers, Torsten and Saerek, each of whom have Skull Keys which are used to unblock Otar's sarcophagus. For more information on the item, see this article. Rahgot is located in the southeastern ruin of Forelhost during the quest Siege on the Dragon Cult. He is partially protected by four common variants of leveled draugr. Vokun is encountered in the Nordic ruins of High Gate Ruins, in the Pale, during the quest A Scroll For Anska. He is found guarding an ancient word wall for the Storm Call dragon shout. The battle is made slightly less challenging because Anska will fight him, even if the player doesn't. 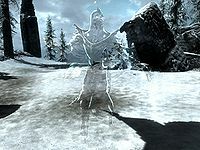 Volsung is found on the exterior peak of Volskygge, in northwestern Skyrim, during the related quest. He is found guarding a word wall which teaches one of the words for the Whirlwind Sprint dragon shout. It is possible to skip the entire dungeon of Volskygge and just ride up the mountain on a horse, however the quest directs otherwise. Ahzidal is found entombed in Kolbjorn Barrow, which can only be accessed through the quest Unearthed. He is awoken and fed the souls of hired miners by the sublimely enthralled Ralis Sedarys. Dukaan is entombed within White Ridge Sanctum, guarding the ancient power of the Cyclone word wall. 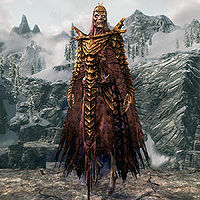 Miraak is the primary antagonist in the Dragonborn expansion. 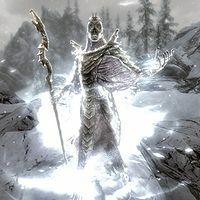 He was a dragon priest when the dragons ruled Tamriel and sought to be free of them. 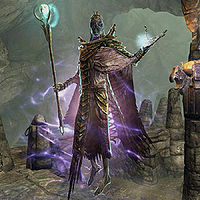 He is mainly seen in Hermaeus Mora's daedric realm of Apocrypha. He is also Dragonborn, giving him the ability to devour the soul of a dragon and eliminate the chance of it ever returning. 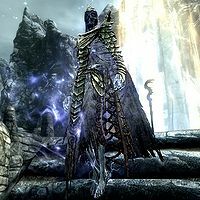 Technically, Miraak is an NPC rather than a Dragon Priest creature. For more information on the NPC, see this article. 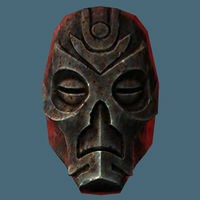 Vahlok the Jailor is encountered in Vahlok's Tomb during the quest Lost Legacy. He was tasked with watching the traitorous Miraak, after discovering Miraak's secret plot against their masters. 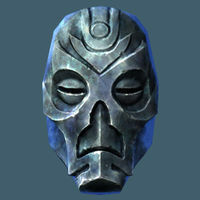 Vahlok is the only named dragon priest who does not have an eponymous mask. Zahkriisos is encountered in Bloodskal Barrow, accessible from Raven Rock Mine, during the quest The Final Descent. 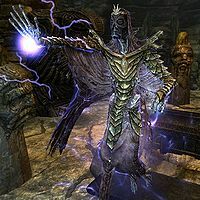 He has the ability to summon Seekers from the daedric realm of Apocrypha, and excels in Destruction magic, particularly lightning-based spells. 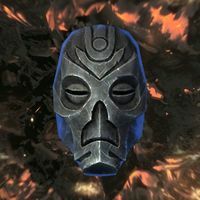 Having Resist Shock potions is highly recommended when battling Zahkriisos, as they will greatly reduce the damage inflicted by these spells . In the center of ground-level Labyrinthian lies a small weathered dome. Within is a weathered altar with pedestals for each of the eight dragon priest masks. Next to the altar is a wooden mask beside a skeleton. When it is equipped, and the player is inside the dome, the player will be transported back to a time when it was in its prime. 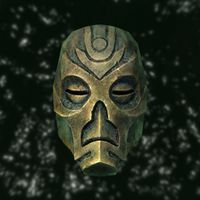 When all eight of the unique dragon priest masks have been collected, the player can place them all on their respective pedestals. 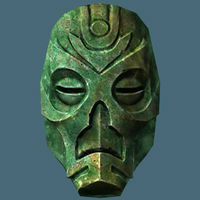 Doing this will reveal the ninth, most powerful, and final mask: Konahrik. For more information, see the Bromjunaar Sanctuary article. Dragon Priests turn to ash upon death. In terms of stats, Malkoran's Shade is considered to be a Dragon Priest. This page was last modified on 27 February 2019, at 04:09.